In order to contest a will, you generally have to have "standing," or be what is known in some states as an "interested party," according to FindLaw. An interested party is one who has something to lose or gain from challenging the will. Reasons to challenge a will may include that the deceased person didn't have capacity to make a will, undue influence, fraud and mistakes, according to the American Bar Association. Children of deceased parents who have standing may challenge the parent's will. In most states, only a person with standing can contest a will, according to FindLaw. Because in most states a child of a deceased person will inherit some part of a person's estate if there is no will, children usually have standing to contest their parents' wills, according to the American Bar Association. 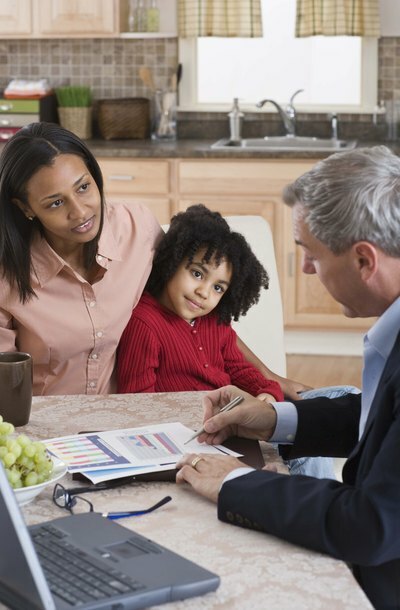 Standing, or being an "interested person," only gives a child the ability to contest a will. The child must still state a reason to believe that part or all of the will should be held invalid, according to FindLaw. Although some children of deceased parents may wish to challenge a will because they feel as though their share of the estate is too small, there are in fact only a few legal grounds on which a will can be challenged. According to the American Bar Association, these include lack of testamentary capacity, or believing the parent was not of sound mind and therefore could not make a will; undue influence, such as when another sibling pressures a parent into leaving someone out; fraud, such as when someone else alters the will to grant himself a bigger share of the estate; and mistakes, as when the will names the wrong person or the wrong item. A child who wants to contest a parent's will should do so at the earliest possible opportunity in order to avoid the state's statute of limitations on will contests. The American Bar Association notes that a child who wants to contest a parent's will must file a formal complaint with the probate court that sets out the reasons she believes some part of the will is invalid. The executor of the estate defends the case. In most will contests, the court will follow the parent's wishes as described in the will, unless a compelling case can be made that the will is partly or entirely void. If a will is contested, the probate court may decide that all of the will or only part of it is void, according to FindLaw. Therefore, a child who contests the will should be clear about which parts of the will he thinks are void and why. Also, many wills contain a "no-contest" clause which states that a child who loses a will contest will also lose his entire share of the estate, according to Merriam-Webster's Dictionary of Law. American Bar Association: What Does It Mean When a Will is Contested? American Bar Association: How Can I Plan to Avoid a Will Contest?